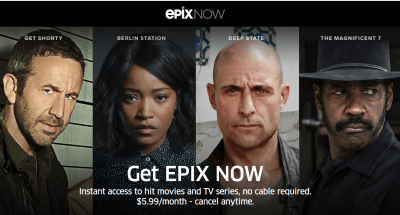 Epix, the newest premium movie channel on the block, is giving up on exclusive pay television distribution and has launched a new $5.99/mo direct-to-consumer subscription service, beating anticipated services from AT&T WarnerMedia and Disney. Epix Now streaming subscribers will have access to “thousands of movies” and original series, with full download availability and a growing catalog of titles available for 4K/Ultra HD streaming. Epix, now wholly owned by MGM, has struggled to attract subscribers from its traditional cable and satellite TV partners, as consumers ditch premium channels to reduce their bill or drop cable TV service altogether. Charter Communications recently dropped Epix from Spectrum’s bundled pay television tier, now requiring customers to buy the network a-la-carte, likely resulting in a dramatic loss of subscribers. Epix Now is currently available with a 7-day free trial on Apple TV, as well as iOS and Android phones and tablets, and is expected to arrive soon for Roku and Amazon Fire TV owners. The service is also sold through The Roku Channel, but will shortly be transitioned to a standalone app on that platform. Launched in October 2009, Epix began as a partnership between MGM, Lionsgate, and Viacom. It was known for airing movies more quickly after leaving theaters than its competitors. 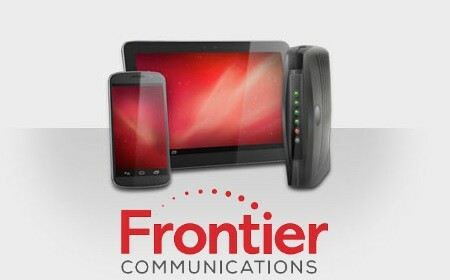 But the network has been limited by a lack of exclusivity to first-run content from larger studios. Lionsgate largely lost interest in Epix after acquiring competing premium movie service Starz in mid-2016. A year later, Viacom made it known it wanted to exit the venture to concentrate on Showtime, its primary pay television network, and use the sale proceeds to pay down Viacom’s high debt load.